You’ve got your shiny new Linux installation on your system for the first time, and everything seems to working perfectly. Everything, except the Internet. And the Internet is important, so a computer that can’t connect to it is virtually useless. Are you confused on how to proceed? Follow this troubleshooting guide to pinpoint the problem. Does Your Internet Even Work? First off, we need to make sure that the problem isn’t somewhere outside of your computer, such as the router, modem, or ISP. 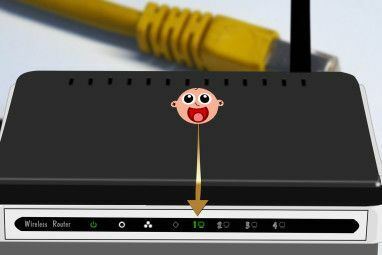 If possible, connect to your router via an Ethernet cable and see if you can connect to the Internet through it. Unlike Windows, it’s such an extreme rarity for Ethernet not to work on a computer that this is a very safe bet to make sure that everything else is working. I’ve never heard of anyone having to install additional drivers just to get the Ethernet to work. Does It Need A Driver? Once you’ve confirmed that your Internet connection works, great! You can then move on to figuring out why the WiFi won’t work properly. For a decent amount of laptops, there aren’t any open-source drivers that can get them to function, so you’ll instead need to download a proprietary driver to get it to work. Broadcom wireless chipsets more commonly have this problem than any other chipset. There are two ways you can get the proprietary driver. First, if you installed Ubuntu from a USB drive or DVD, you can insert it again and run the Additional Drivers application. It will detect the drivers found on the USB drive Linux Live USB Creator: Easily Boot Linux From Your Flash Drive Linux Live USB Creator: Easily Boot Linux From Your Flash Drive Read More or DVD, and automatically offer to install them for you. 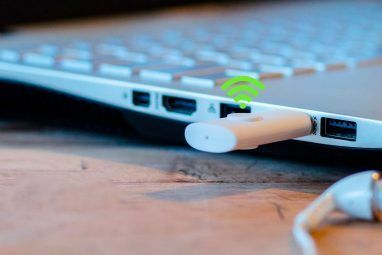 The other option is to gain Internet access through an Ethernet cable and to run the Additional Drivers application once your computer has a connection. If neither method offers to install a proprietary driver, then there aren’t any drivers available that work for your specific chipset. This could mean that the chipset simply doesn’t have support for Linux, or that it should be taken care of by an open-source driver. Are You Using The Right Configuration? To double-check all of your settings, you can right-click on your WiFi tray icon and choose Edit Connections. Click on the network you’re trying to connect to (if you were able to get that far) and go through all the tabs and make sure that all of the settings are correct. If you’re not sure what something is, it’s best not to touch it. There’s a chance that there’s a new or improved open-source driver available for your wireless chipset, but only in a kernel version newer The Linux Kernel: An Explanation In Layman's Terms The Linux Kernel: An Explanation In Layman's Terms There is only one de facto thing that Linux distributions have in common: the Linux kernel. But while it's often talked about, a lot of people don't really know exactly what it does. Read More than what your distribution provides. In cases like this, it’s a good idea to get the latest kernel 5 Reasons Why You Should Update Your Kernel Often [Linux] 5 Reasons Why You Should Update Your Kernel Often [Linux] If you're using a Linux distribution like Ubuntu or Fedora, you're also using the Linux kernel, the core that actually makes your distribution a Linux distribution. Your distribution constantly asks you to update your kernel.... Read More and install it. Ubuntu users can head to the Ubuntu Mainline Kernel PPA, then scroll all the way down to the very latest kernel release, and choose the following files: linux-image (for your architecture), linux-header (for your architecture), and linux-header (all). Install them, and then restart so you can start using them. You should hopefully have a working WiFi connection now. Lastly, if you’re still out of luck, you need to Google your wireless chipset and add “linux” as a keyword in there. To be more helpful to you, you need to know what exact wireless chipset you have. You can find this by running the command lspci | grep -i wireless. In my case, the chipset was BCM4360 so I can put into Google “BCM4360 linux” and come up with some answers. What Did You Do To Fix Your Internet? These few steps should give you enough options for getting your Internet connection to work properly. 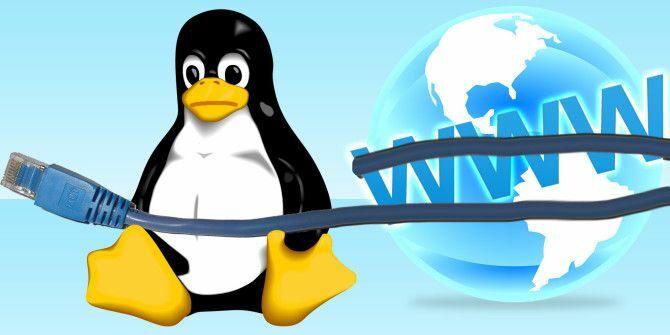 On Linux, you usually don’t have any problems with the Internet connection unless the hardware isn’t working like it should, so that’s why these tips are so focused on the hardware. Good luck! What have you done to get wireless to work on your Linux system? What was your most difficult experience? Let us know in the comments! I have a HP notebook that came with W10 installed. I installed Ubuntu 14.04 on it. My problem was wifi. I just could not get it to work. The fix though was very simple. Disable secure boot in the bios. PING command is use to test connectivity between two nodes, Whether it is Local Area Network (LAN) or Wide Area Network (WAN). This command display connection info, routing table information etc. It is use to find name to IP or IP to name in IPv4 or IPv6. It is use to configure network setting and then will get Graphical User Interface (GUI). Rather than this you also take suggestions from a good Tech Support Service provider. Askpcexperts is a good tech support service provider. On my current Toshiba notebook, my wifi was crummy compared to it's (dual boot - only when forced to) performance in Windows 7. I eventually found a driver on the wifi manufacturer's website and installed it. That worked, but I had to rebuild it for every kernel upgrade. That was all on Kubuntu Precise 12.04. Now I'm on Trusty 14.04 and the wifi just works along with a few other minor problems which are resolved. Everything is fine now except I'm starting to think that my keyboard backlight will never work on Linux. if you use Mint update, the kernel is updated automatically. I've been using Mint for a few years now. My new Toshiba came with Windows 8. The charms didn't charm me, so back to Mint. Mint has an icon in the system tray. Right click and off you go. My 3G modem is recognized, but I have to set up the connection every time. Still fairly easy to set up using the wizard provided. finding the last two connections, click on "edit", then "save"
Once done, I just click the appropriate connection. When I upgraded to a HP Pavilion 17-e135nr Laptop, earlier this summer, the internet ran really slow on Mint 17. 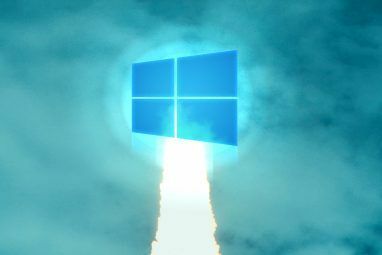 I tried numerous suggestions but the solution that worked for me was to update the kernel. Do you guys have plans on writing an article about using OpenVPN? Yet WICD has given me more fits than any other wireless connection manager. Network-manager has worked best for me. I do agree, get on a wired connection try a different connection manager. The title of the article should be "How To Troubleshoot Your Internet Connection In Ubuntu." For users of non-Ubuntu based distros, your article is almost useless. All the distros you mention, with the exception of SolydXK, are UBUNTU-based, not Debian-based. With Canonical maintaining its own version of the kernel, rather than using Debian's as basis, they are two distinct distros. Only Ubuntu-based distros use PPAs. While some of the steps might work for Debian, they certainly will not work for Slackware, Gentoo, SUSE, Mageia/Mandriva, Arch or Fedora-based distributions. So my comment stands. This is an Ubuntu oriented article. While Ubuntu may be "the most popular distro" with a certain group of users, it is NOT, as MUO writers would have everybody believe, the only Linux distro worth using.